Science Fair is an opera singer’s love-song to science. 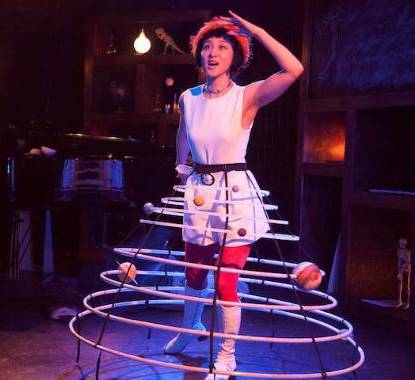 With a libretto created in collaboration with science writers and teachers, “Science Fair” uses original music in a theatrical setting to celebrate the scientific. From the incredibly familiar baking soda-vinegar volcano to the intensely complicated wave-particle duality of matter at the quantum level, Science Fair tackles various concepts--aided by hand-made models of things like the solar system, atomic orbitals, molecules of DNA and more--infusing them with humor and wit, employing arresting operatic vocals to uplift the ordinary into the realm of wonder. 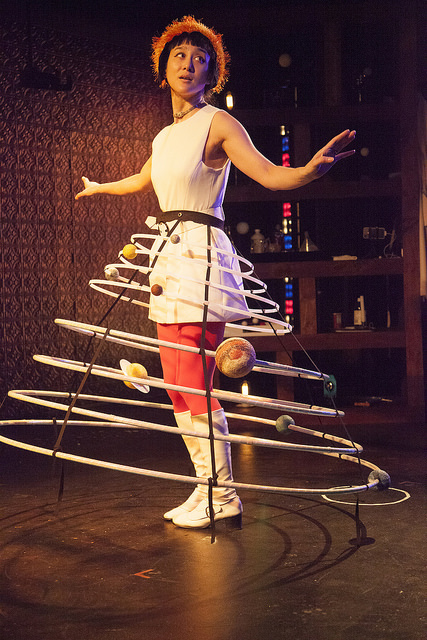 This new opera-theater work is a live science show with lessons and lectures in song. It features music direction by Erika Switzer (piano), a faculty member at the Bard Conservatory, and music by Matthew Schickele, Renee Favand-See, Stefan Weisman and Conrad Cummings. The production will be directed by Lisa Rothe, with set and video design by Caite Kemp, lighting design by Lucrecia Briceno and costume design by Hai-Ting Chinn. The work received its world premiere in New York City this past April to critical acclaim.